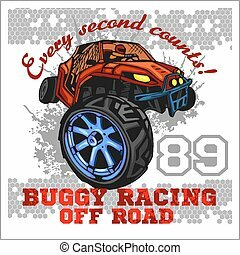 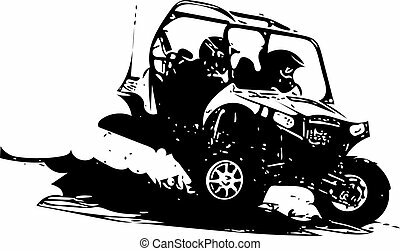 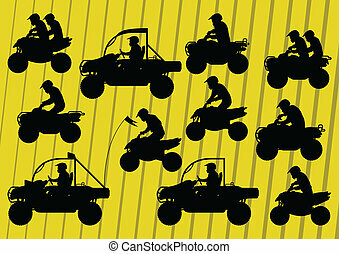 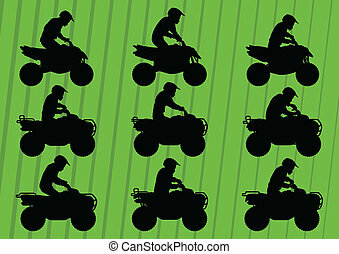 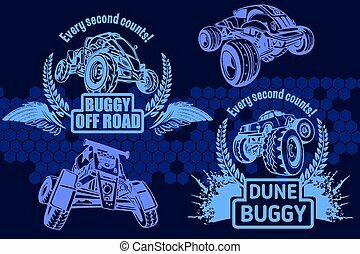 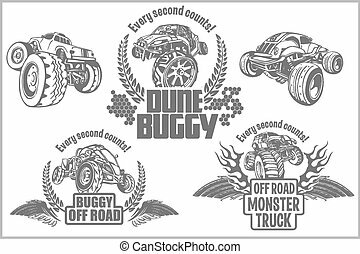 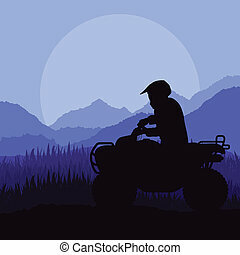 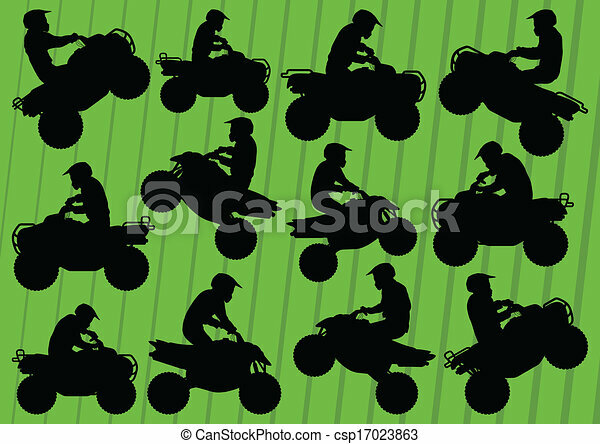 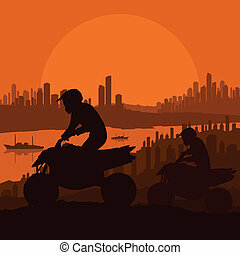 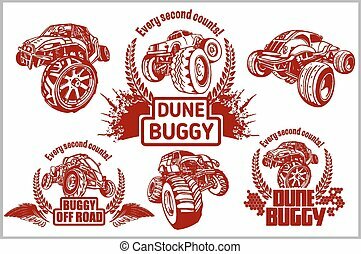 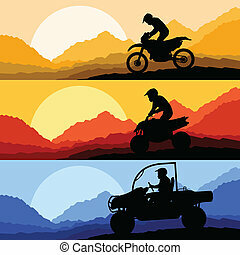 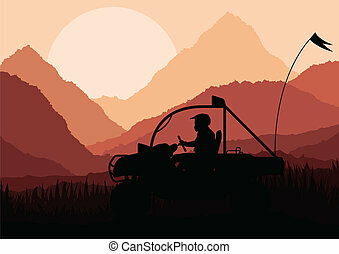 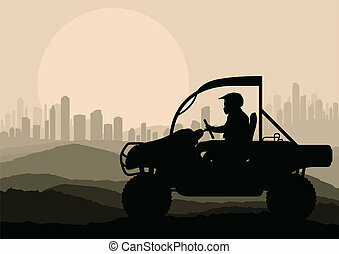 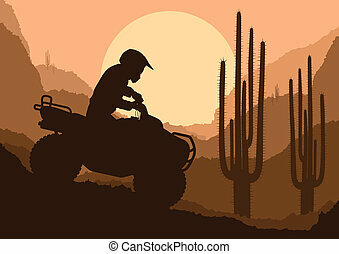 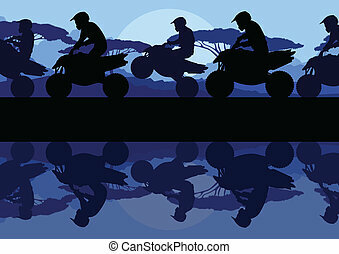 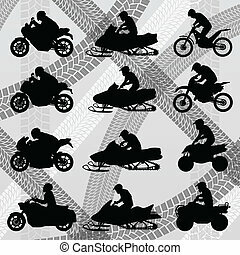 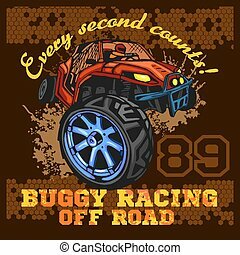 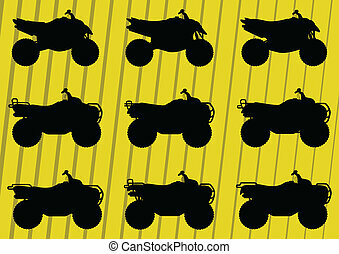 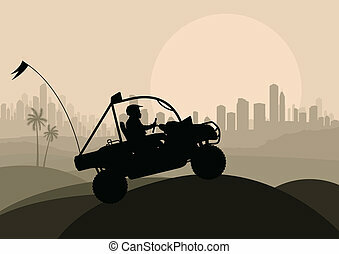 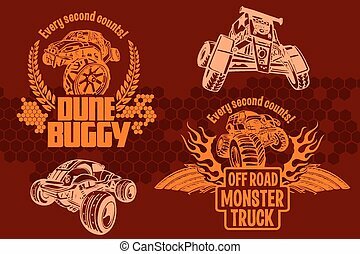 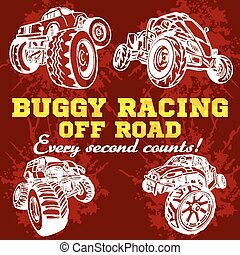 All terrain vehicle quad motorbikes and dune buggy riders illustration. 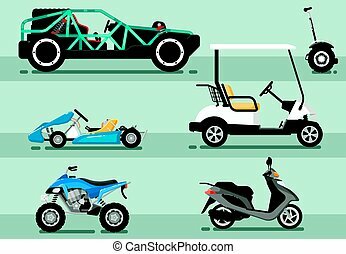 Modern auto vehicle isolated set. 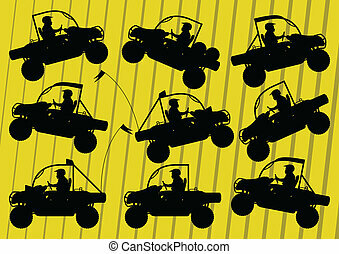 Off road dune buggy, golf car, motorcycle, scooter, motorbike, go kart, gyroscooter vector illustration. 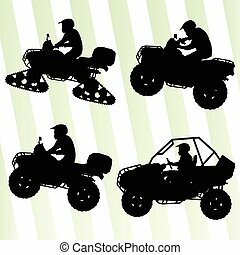 Outdoor people transportation and travel activity.